"built on strength guided by vision"
"Lawyers and judges are losing sight of their commitments to justice and the public good, and the profession must reform itself and rebuild the trust of ordinary citizens", says Canadian Gov. Gen. David Johnston. In response, e-Court was established as China's largest online network for MEDIATION, ARBITRATION & LEGAL OPINION with focus on Individuals & Companies. Our innovative concept is endorsed around the world. Let us show you where. e-Court.cn is currently in the process of filing its charter with Corporations Act of China. e-Court.cn (hereafter referred as e-Court) is a subsidiary of e-Court.ca Legal Services In't Inc. the holding company for its overseas subsidiaries with corporate offices in Ottawa, Canada. 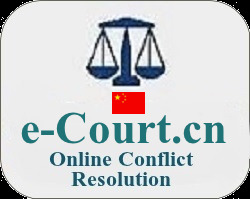 The China company networks with individuals, companies and the legal community who share e-Court's vision of a transparent, fast and affordable "One-Stop" Online Network for Conflict Resolution. It took our IT development team five years with an investment in excess of $3 million to develop a database which unravelled the legal complexities yet adheres to strict Chinese legal laws & mediation practices. To our knowledge there is no privately funded organization to-date which is able to match our innovative database and other structures. We can handle a minimum of #2000,000 cases simultaneously; Let us show you how ! e-Court is extremely flexible because the individual or company can start a case with or without the assistance of a professional. In many conflict situations the claimant and/or defendant feel they wish to avoid professional expenses when obtaining justice. No matter what the choice is, conflicting parties can always rely on an expert & impartial Arbitrator, Judge or Mediator for resolution when they submit a case on e-Court. And all that in six easy steps and in just six weeks! ; Let us show you how ! Our Mission statement: e-Court China aims to be a champion for the consumer, achieving this by offering passionate and visionary values. These are: Value for Money: To offer honest, simple, and transparent pricing. Quality of Service: To offer services without compromising any of e-Courts values. Specifically to be professional and with unquestionable integrity. For the People: To offer conflict resolution services for everyone, not just those who can afford it. Challenging: To offer new and innovative ideas, to always push the boundaries of conventional thinking. Force for Good: e-Court would like to see itself as making a positive contribution to peoples lives and as a force for good. No hidden costs. We do not occupy expensive mortar and brick offices and we compensate our mediators, arbitrators and judges with a just remuneration which pays these professionals for their actual time and not for "pushing" paper work. The time an experienced mediator, judge and/or arbitrator spends on your case, is pure thinking, not paperwork. This saves in cost. A portion of the amount in contest ( called the escrow ) is deposited in an escrow account with BMO in China prior to the start of the litigation process. The funds are immediately released when the verdict favors the Claimant or when against, deposits are returned to the appropriate parties. e-Court engaged a Professional Chartered Accounting firm to conduct an annual audit of its financial records. Members are privi to receive the independent annual audit review reports. e-Court cases take no more than six weeks (excluding a possible appeal of four weeks). This makes the process to cost much less than ordinary courts, where it takes on average between 70-90 weeks to obtain a ruling. e-Court is extremely flexible because the individual or company can start a litigation case using e-Court with/without the assistance of a legal professional. In many situations the claimant and/or defendant feel they wish to avoid legal expenses and obtain justice without expenses from legal counsel. However our members can always select a suitable listed legal professional if they so desire. Members have full & complete control and 24/7 "in-sight" in all related records and in real time. All registered members will have their own "no charge" personalized admin panels with full search capabilities on a variety of exciting issues. In addition, they have an automatic membership in up to three e-Court country organizations. Just like the outside world, people need to be confident before they proceed down an unknown path. e-Court has taken all measures to safeguard information. Our website is heavily protected like internet banking with leading banking institutions. Visitors can see a green padlock icon in the address field area of their browser. This means e-Court's operations are secured by 256-bit SSL, the highest security in the industry. Also notice the daily updated security certificate on the page bottom. In addition all user & passwords are enhanced by a secure #2 step verification process. Socials are being held each month throughout the country, except during July and December when no events take place. E-Court believes that aside from the many advantages that the internet offers, there is a big role for meeting "eye to eye" with legal & mediation professionals in a social setting. Often, a speaker is invited to address important and widely ocurring legal or mediation issues. Socials are announced via email to all China e-Court members. "e-Court has helped to simplify the operations of our organization and is very user friendly. We are also very satisfied with the relationship our company has with e-Court and have found their entire team to be supportive and friendly. What a joy it is to offer our employees a venue to settle future labour conflicts, if they arise". "We would be lost without e-Court" This modern concept has everything we need to operate our law firm without too much stress of locating files and checking the old brick and motor diary book. We certainly wish to 'embrace' the internet but always wondered in the past how to do this. Cheers to e-Court! We are thankful to have become associated". "Good Heavens" e-Court is just what the doctor ordered. I have looked for years to find an alternative to my costly lawyers fees until a friend alerted me about e-Court. I never thought searching files and getting timely alerts on case and appointments could be this easy. This is a must for every body. 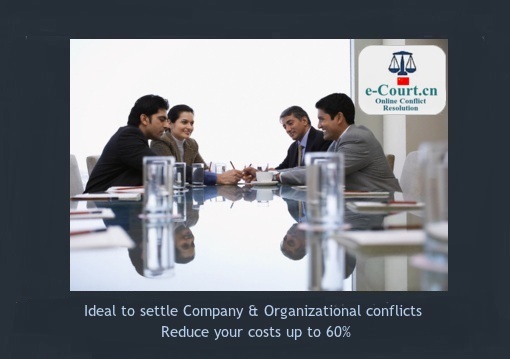 e-Court certainly offers speedy solutions with prior knowledge of expense and duration". Know the reasons behind our Success: "Our timing was just perfect, we recognized a real need. Thank you for your visit. We hope to serve you Around the World"
e-Court.cn is currently in the process of filing its charter with Corporations Act of China. e-Court is an independent group of experienced professionals like (former) lawyers, barristers, solicitors or attorneys, judges, mediators, university professors, industry and other legal interest groups. e-Court aims to provide competent, affordable, secure, transparent and speedy justice. 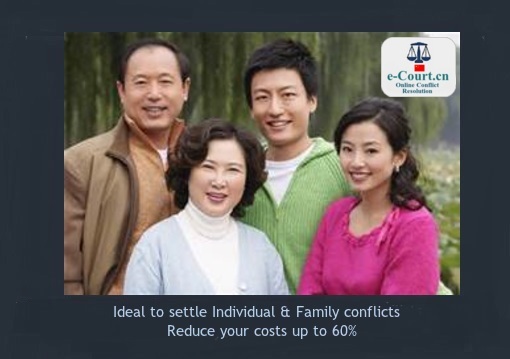 e-Court China will re-shape the future of Chinese Conflict Resolution - Forces transforming the legal & mediation industry promise the emergence of new models that will allow clients to reap huge efficiencies. Bank-of-Montreal in China are our bankers inclusive for escrow requirements. E-Court.CN Mobile, agricourt.cn, e-judge.cn, ecourt-cn.com, ready2help.ca, icourt.ca, i-court.ca, e-abritration.ca, ecourt-law.ca, adrpartners.ca, and e-mediation.ca, ca-ecourt.ca, e-courtonline.ca, ecourtonline.ca. e-court.im, e-court.mobi, ecourt.mobi, exec.org, yes2america.com, 3dnet.org, e-court.co, ecourt.co, e-court.club, e-court.info, e-courtonline.com, e-court.world, e-court.online. © 2010-2016 e-Court.cn Legal Services Int'l Inc. | Powered By e-Court, secured with 256-bit SSL.